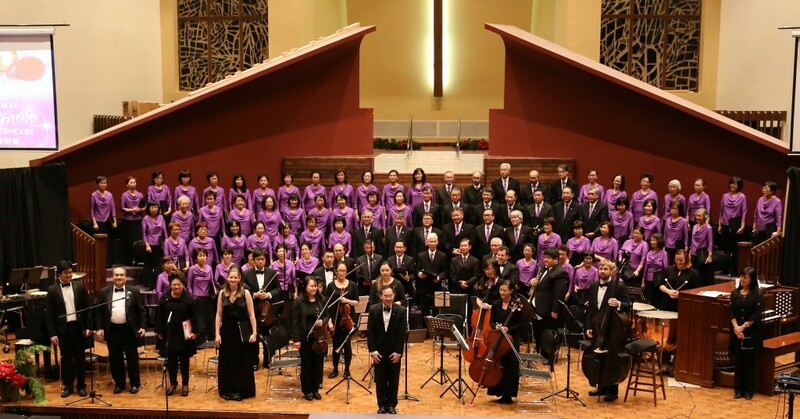 The Vancouver Oratorio Society (VOS) is a non-profit organization founded in January 1991 under the baton of Laureate Conductor, the late Frank Fei-jan Huang. For over twenty-five years, the Society has strived to pursue excellence in performing symphonic choral repertoire. The Society recruits Christian vocalists and musicians who share the common passion for classical sacred music, all of whom carry the mission of praising and glorifying God through the promotion and public performances of sacred choral works at a high standard, thereby presenting the Gospel of Christianity. Besides holding two major concerts each year with the majority being free admission to the public, the Society has also actively participated in many music events and fundraising activities organized by various organizations. VOS has collaborated with local and international musicians, soloists, conductors and choral groups to perform at their seasonal concerts and outreach tours. Throughout the years, VOS has organized music theory class, vocal training workshops, music seminars and choral sessions open to all church choir members with the view to enhancing their singing technique, skills, and knowledge.